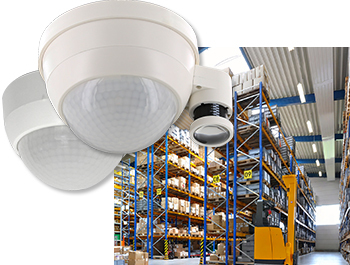 The CONNECT GH delivers superior 360-degree detection coverage and excellent range in high ceiling applications. The combination of passive Infrared (PIR) motion detection and a photosensor provides an all-in-one occupancy detection and daylighting control solution with the option for wall control. The telescopic photosensor of the CONNECT DALI GH enables fine tuning adjustment for accurate daylight regulation at any mounting height.